The Harp Family Institute is a research-based consulting firm that coaches couples where one or both of the partners is an entrepreneur. The goal of the Institute is to collect and analyze data that will directly benefit entrepreneurs/executives and their families. After spending over 10 years studying and researching entrepreneurship and marriage, and their reciprocal impact on one other, Trisha is a recognized authority, and has spoken to numerous entrepreneurial organizations throughout the country. 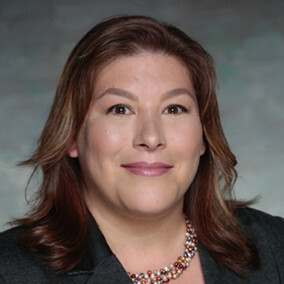 Based in Atlanta, Georgia, Trisha’s research is the world’s largest database on this topic. Her interactive presentation and workshops teach individuals and couples how to improve their personal happiness and business success through her analysis of the best practices of highly satisfied couples. Trisha has been featured in Inc. Magazine, Entrepreneur.com, The Wall Street Journal, and Forbes.com. Watch Trisha speak at EOx. In addition to our empirically based program, Trisha has crafted a comprehensive, one-of-a-kind workbook that directly relates to the data. Please inquire when booking your engagement if you are interested in purchasing a copy for those attending your session. Workbooks are not available for individual sale. Immediately after graduating from the University of Michigan, (B.A. Psychology) Trisha became the Co-Founder of On My Own of Michigan, a not-for-profit organization providing “real life” living skills and activities for young adults with developmental disabilities. It was during the creation of this program that she discovered the joys and frustrations of “entrepreneurship”. Following a successful tenure, Trisha’s leadership skills were coveted and recruited by both private and governmental agencies. Spending several years developing programs and strategic plans, Trisha’s interest and passion for entrepreneurship piqued. Her ultimate access to the field increased steadily after marrying a serial entrepreneur. Since their union, Trisha has served as a founding team member of multiple enterprises as well as an active participant in the EO spousal component. In 2007, Trisha earned an M.S. in Human Development and Family Science from the Ohio State University where the focus of her Master’s thesis was on “Spousal Satisfaction in Entrepreneurial Couples.” Since that time, many professionals have encouraged her to broaden her research and publish her findings on the effect that entrepreneurship has on relationships and conversely, the impact that relationships have on business ventures. Today, Trisha envisions the essential outcome of this comprehensive, research-based program as a template to identify and provide best practices for business owners and their spouses/partners worldwide. 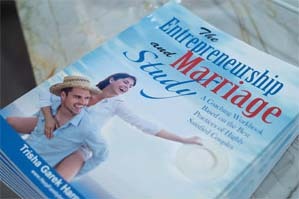 Trisha is also a certified professional coach with a focused practice on entrepreneurial couples. Derek, a former US Navy Officer, started LogiKeep, Inc. in 1997 where he co-invented Intellishield™; an IT security product purchased by Cisco Systems that remains in operation today. Operating primarily under a Sable Lion Ventures umbrella since then, Derek has been involved with a number of new ventures as a founder, advisor, and/or first investor. He has personally raised more than $15 million in early stage start-up capital for those companies. Today, Derek is primarily focused on two ventures; one in the online and mobile games market with a primary focus on “gamification” – enabling companies to reach their customers and employees in more interesting, compelling, and measurable ways. Additionally, Derek has just co-founded another IT security start-up focused on solutions to combat the rise of more advanced threats to enterprise network security and industrial control systems. Derek has been a member of Entrepreneurs Organization (EO) for twelve years; first in Columbus, Ohio and now in Silicon Valley. 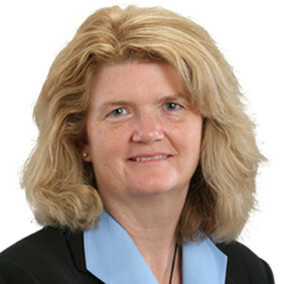 Christina K. Struckman, Ph.D. is a statistical consultant with over 10 years of experience. She provides statistical analyses and research to support human resource business strategies, validation studies on designed assessment tools, survey validation and analyses to support organizational-wide improvement strategies, and designs metrics to assess progress on various HR initiatives. In addition Christie also provides statistical support for EEOC and OFCCP compliance needs including annual compensation audit, respond to OFCCP audit requests and provide analytical support to EEOC/discrimination charges. Christie received her bachelor degree in Decision Science from George Mason University in Fairfax, VA, her master’s degree in Management Science from Golden Gate University in Sacramento, CA, and her Ph.D. in Organizational Behavior from Binghamton University in New York. She has taught university courses on leadership, organizational theory, and business statistics at San Jose State University and University of San Francisco. She has written articles and book chapters on leadership and organizational change. Christie lives in McLean, VA with her husband and two children. 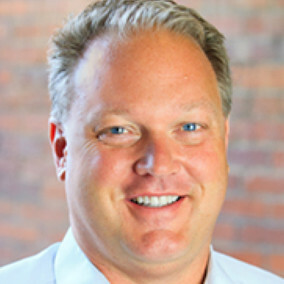 Jason Jacobs is a serial entrepreneur, visionary leader and seasoned high growth startup CEO specializing in launching and turnarounds of technology and technology enabled services companies. Founder and President of The Verge Group, a consultancy that Identifies Potential and Accelerates Results in early stage and restart companies, Jason focuses on Emergent Strategy and Agile Organization Practices for high growth and restarting growth. Jason has assembled a team of some of the best business minds in the world in areas of Strategy, Top Management Team Dynamics, Organizational Performance, Organization Network Analysis, Information Technology and Seed/Venture Finance. 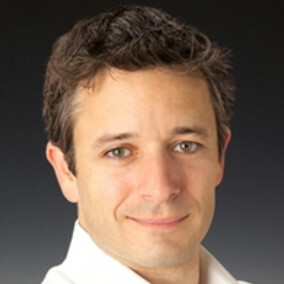 Jason founded his first startup CORESense in 2001. Under his leadership CORESense became the leading Software as a Service solution for Multi-Channel retail and he was named Deloitte Rising Star in 2005. 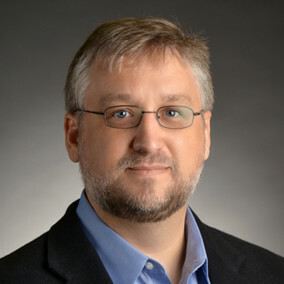 In 2010 Jason became a partner and CEO of Channeltivity, which is now the market leader in Cloud based Partner Relationship Management Software for emerging and mid size enterprises. Jason has an MBA from the Lally School of Management at Rensselaer Polytechnic Institute, he holds a bachelors degree in Mechanical Engineering from The Ohio State University and served as an officer in the US Navy. Jason is an active board member of Entrepreneurs Organization, a global organization of over 8000 business owners representing the top 4% of business worldwide. As Executive Director of the Center for Entrepreneurship, Dr. Camp sets the strategic direction and programmatic platform for the Fisher College’s entrepreneurship program. He oversees the design and development of the academic and outreach programs and directs strategic partnerships with other entrepreneurship and technology commercialization support organizations throughout the OSU and Greater Columbus communities. Dr. Camp’s research interests focus on the performance of new ventures and the regional economic impact of innovation and entrepreneurship. He has published articles in leading journals including Strategic Management Journal, Academy of Management Executive, and Entrepreneurship Theory & Practice. Throughout his research career, including five years at the world’s leading foundation in the advancement of entrepreneurship, Dr. Camp has directed or led various national and global programmatic research initiatives. Some of these initiatives include the Innovation-Entrepreneurship NEXUS, the Global Entrepreneurship Monitor, the Panel Study for Entrepreneurial Dynamics, the Annual Survey of Innovative Practices, and the Kauffman Financial Benchmarking System. In 2002, he co-edited a book entitled, Strategic Entrepreneurship. He teaches graduate and undergraduate courses in the entrepreneurship program. His consulting work focuses on new venture creation, the strategic and financial performance of high growth ventures, and regional economic impact of the innovation-entrepreneurship nexus. As a first generation entrepreneur himself, Randy knew others like him needed a different kind of partner. He knew they were driven to succeed not just in one, but in all parts of their lives. He saw them as the world’s leaders and creators—with limitless potential to improve the lives of others. And that’s how Randy discovered his WHY for founding Gerber. He envisioned a place where first-generation entrepreneurs would find more than financial advice. They’d find a launch pad for their ideas and aspirations. Guidance for integrating and achieving all their connected goals: life, business and finance. And inspiration for paying their success forward. That’s exactly the company Randy has been leading ever since. His greatest passion is working hand-in-hand with Gerber’s clients to understand what they want out of life, and then putting holistic wealth management plans in place designed to help make it happen. 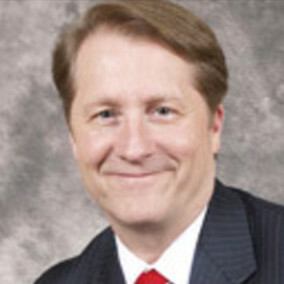 Randy is a graduate of The Ohio State University Fisher College of Business. He has formal training in investment fiduciary responsibility. He’s earned the Accredited Investment Fiduciary professional designation, and has been recognized as an outstanding financial advisor by Raymond James Financial Services each year since 1999. Randy’s passion for making a difference in people’s lives reaches beyond the office, too—inspiring his volunteer efforts for the Columbus College of Art and Design’s Creative Integration Center and the Columbus Chapter of the Entrepreneurs Organization. The rest of Randy’s time goes to his other joys—the first of which is his family. He loves to create special experiences for them, from traveling to Greece to hosting Daddy Date Night for his kids in Columbus. Next to being with family, few things rank higher on Randy’s list than rooting for the Buckeyes from the tailgate he’s shared with his college buddies since 1986, working on his golf game during the summer and perfecting his downhill skiing skills in the winter. Well worth the money! My entrepreneur's forum decided to participate in a workshop with Trisha. We were blown away by the knowledge, sincerity and clear passion that Trisha possesses. She is the real deal. Having grown up in an entrepreneurial family and being married to a serial entrepreneur, Trisha 'gets it' and it comes across. Every question we posed, she had either data or a personal anecdote to share in response. I highly recommend spending some time with her. You won't regret it! My wife and I have been in and out of therapy for over 20 years. I have always asked if the therapist had a program we could follow. No one ever has. This is the first time I have been excited to go through a series of exercises with my wife. They look so easy and pertinent to our situation. Thank you for that.